Many people come to St. Croix with a dream lifestyle in mind: waking up to a gentle sea breeze, daily beach strolls, or weekend beach parties. While all these are definite possibilities, moving to and living on St. Croix is just like moving to anyplace else. You have to secure employment, housing, and other life essentials to get settled. 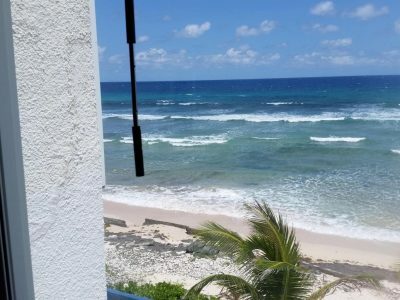 This guide will help answer some frequently asked questions about relocating to and living on St. Croix. Do I need a passport and working visa to live and work on St. Croix? Since St. Croix is a U.S. territory, Americans can come and go freely without the need for a passport or working visa to gain employment. Although for identification purposes, social security cards, drivers license, and other personal documents will come in handy. As a U.S. territory, St. Croix has the same immigration regulations as the mainland U.S. As such, you will need a passport and a U.S. visa to enter if you are not an American. You will also need a work visa and a resident alien status if you plan to work and call St. Croix your new home. What is the currency in St. Croix? St. Croix’s currency is US dollars. Most businesses accept credit cards, as well as travelers checks. There are also a lot of ATM machines throughout the island. Additionally, there is no sales tax on anything purchased on the island and the rest of US Virgin Islands. St. Croix observes the Atlantic Standard time zone (UTC – 4:00) all year round and does not follow Daylight Savings Time. This means no need to move the clock backward in the fall or forward in the spring! Absolutely! If you are traveling from the U.S. mainland, there is no need to quarantine your pet. However, you should have your pet’s health documents ready within 10 days of travel. You need to secure a health certificate from your vet, including up to date rabies shots and clearance from any infectious disease. If you have an exotic animal as a pet (i.e. any type of bird or ferret, among others), you need to check with the Department of Agriculture to determine if an import permit is required. If one is, you must submit an application ($25 fee) and wait approximately 1-2 weeks for approval. Unfortunately for snake lovers, snakes cannot be imported into St. Croix because of health and environmental issues. Will my cell phone work on St. Croix? If you’re with AT&T Wireless or Sprint, it will. It is best to ask your provider if the US Virgin Islands is covered and if yes, if any roaming charges apply. Can I ship household items to St. Croix? Yes, you can. There are several moving companies on island that ship cargo via boat or air if you need them sooner. It is best to contact the moving companies directly to inquire about costs and shipping time as they tend to vary. Since St. Croix is a popular destination, the tourism sector employs a lot of people. Popular jobs include hotel and resort staff, sales, wait staff, boat mates, bartending, and sales. There are a few employment agencies on the island you can contact to know more about job openings. Aside from tourism jobs, there are also employment options in energy, health, government, education, and law industries. Do I need my own car to go around? While public transport is available in more populated areas, a car is still the most convenient mode of transportation on the island. You will most likely need a car to go the grocery, schools or run errands around town since very little of the island is accessible on foot. Take note that people drive on the left side of the road in St. Croix! If you are coming from the mainland and want to bring your car, you can have it shipped via any of the cargo companies on island. You should know that your U.S. mainland license plate isn’t valid in St. Croix or any part of USVI. Therefore, you will need to have it registered and pay customs duty for importing it. Also, consider your car’s capabilities when bringing it to the island. Most roads in the island are paved, but there are dirt roads as well. Is my driver’s license valid in the island? U.S. licenses are valid for 90 days after arrival. International driver’s licenses are not so you will need to secure a temporary license as soon as you arrive. What types of schools are available? If you are moving with children, you will find a selection of private, public and parochial schools on the island. 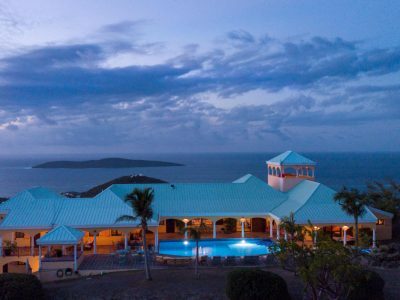 The University of Virgin Islands also has a campus on St. Croix. 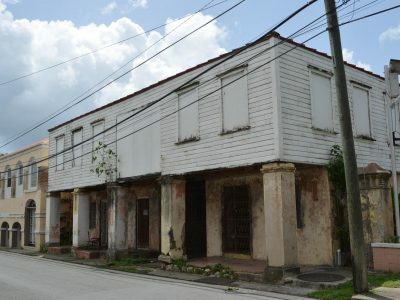 Post Hurricane Maria, the rental market has become extremely tight due to the presence of relief and construction workers. As a result of the high demand and limited inventory, rent costs have increased. If you plan to plant long-term roots on the island, buying a home may be a better option. 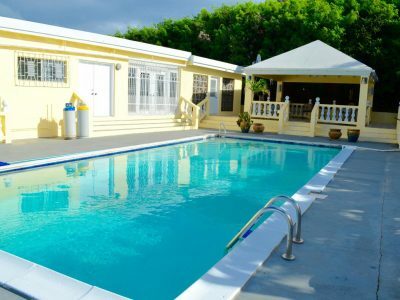 BlueSky Real Estate represents a wide range of properties on St. Croix. 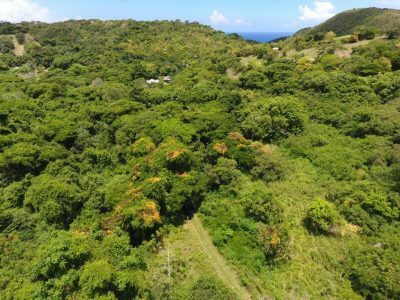 Whether you are interested in a luxury home, undeveloped land, condo, fix-upper, commercial property, a hilltop perch or a beachfront oasis, BlueSky Real Estate can help. Where can I apply for mortgage in case I decide to purchase a property? Local banks and mortgage lenders have similar lending options as those on the mainland. Conventional, FHA, VA, jumbo and conforming loans are readily available. It is best to contact financial establishments (some are listed below) directly to determine what they offer. With interest rates still relatively low, there’s no better time than now to purchase a property in St. Croix. BlueSky Real Estate can easily help you navigate this process. What type of property insurance is needed? All home loans require windstorm insurance if you finance your home purchase. Fire, contents and other types of insurance, while optional, are certainly available. 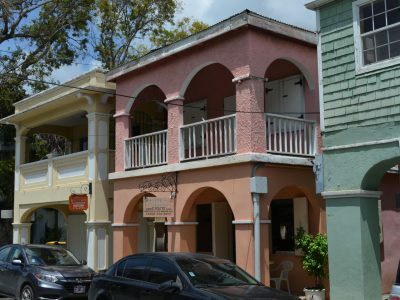 Property taxes in St. Croix are lower than U.S. mainland rates, just 60 percent of assessed value multiplied by the applicable millage rate. Sewer and water taxes may apply as well. Are there transfer stamp taxes? Depending on the structure of the deal, either the buyer or seller will pay the full amount or split the transfer stamp taxes. Note intra-family are exempt from transfer stamp taxes. Are there other costs from purchasing a property? Buyers are also responsible for the costs of the as-built survey, title insurance, recordation of deed, attorney’s fees and bank processing fees. The seller typically pays the pest inspection and associated treatment costs, but this can vary as well depending on the structure of the deal. If I decide to rent my property, are there property management services available? The rental market is hot at the moment! If you have a nice product, you likely will rent it quickly, especially with the help of a professional. Blue Sky Real Estate offers property management services including screening applicants, paying bills, handing repairs, marketing online, checking inventory, assessing arrival/departure conditions and staging property for maximum impact and income. Contact us to find out more.